Which can be picked up at the Bimbo Sweet Baked Goods Tent. To Enter: Leave me a comment letting me you would like to win, that's it! You can get extra entries for following GGG through GFC, Subscribing via email, liking us on Facebook and following via Twitter. This giveaway will on June 1st. I will choose the two winners using Random.org. Please leave a valid email address if it is not visible in your profile. You must be 18 to enter to win this prize. Since the prize will be picked up at the event please only enter if you live in the California area or are planning to attend the Temecula Valley Balloon & Wine Festival. Thank you and Good Luck! I would ❤️ To win. My family and I would absolutely love to win! Would love to go.. Enter me please!!!! Wooohhh this is awesome! Loli sent me! I would like to take my boyfriend! Personally not a country fan but my boyfriend wants to see Cassadee Pope there. Me!! I would love to win this to go with the fam! I would love to win and see the new Bimbo balloon! Pick me! This would be be a great trip for he family! Pick me! Christina.d.rodriguez@gmail.com. I live near Temecula and would love to take the family! I have loved Hot Air Balloons since I visited the Albuquerque Balloon Fiestas years back. I would love to once again visit the Temecula Festival! I want to win!! I'm also liking/following! I thought I worked this weekend but turns out I am available and I would love to attend the festival! What an awesome day excursion. FANTASTIC prize package - my dad was a baker for Helms & Alpha Beta retired from Food For Less. My brother was a baker for Donner's Bakery for 12 yrs then made McDonalds hamburger buns for 5 yrs. 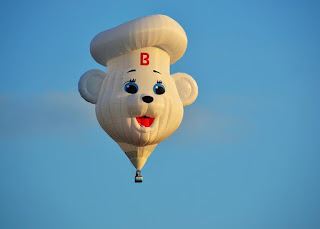 The bread Baker Bimbo Bear always makes me think of my dad. Wining would be a blessing. I would Love to win and take my Mom. She has never been. I just got engaged and would LOVE to go!!! 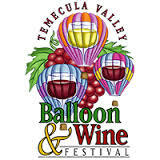 I'm so excited to win the Temecula Valley Balloon & Wine Festival and Bimbo Giveaway! I would love to go because I got engaged there 2 years ago. And now we have a lil boy name Benjamin and want to go so there we can start making a yearly tradition with him. I would love to go because I got engaged there two years ago, and now we have a lil boy name Benjamin and would love to make it a family tradition every year the way he knows how mom and dad were the hopeless romantic couple! I would like to enter. My email address is doe_ma@yahoo.com. Thank you. I remember going 20 years ago and it was bad weather no flying for the balloons but amazing to see all of them I Remer the stork balloon like it was yesterday. Now that we are back in cali I want my kids to experience this amazing event!!!! I have never been and always wanted to go but usually low on funds. This would be amazing to win.... not only for the experience but also because it's on my birthday! What a great opportunity it would be to celebrate with my husband and 5 year old daughter if I was picked. Thanks for having the contest.... fingers crossed!! I also subscribe by email. I guess I forgot to comment that one. Oops! Thanks for the awesome giveaway! This would be awesome if I win!! I took my children when they were little, I would like to take my grandkids for the first time, this year! Omg yes!!! My best friend will be in town from Florida!! Ahhh!!! !